With a single wall design and square holes to save weight the Sport Lite rear rim offers excellent performance and a low weight. At 47mm wide the Sport Lite rear rim helps to reduce unwanted tyre roll on off-camber surfaces even at low tyre pressures. 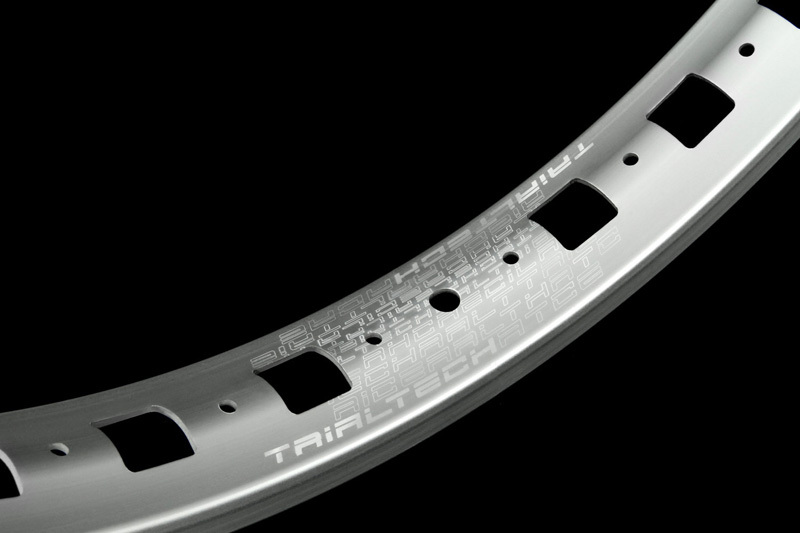 The unique rim section design adds stiffness and strength to the rim, while the square holes help reduce the overall weight by removing material from the areas it is least efficient. The valve hole is drilled at the rim join to allow an additional hole to be machined opposite thereby further saving weight. The un-eyeletted design saves around 50g when compared to similar rims. High quality aluminium gives excellent braking performance when ground, or leave the rim smooth and benefit from outstanding dry weather performance (when used with the correct brake pads) from the close tolerance anodised braking surfaces. 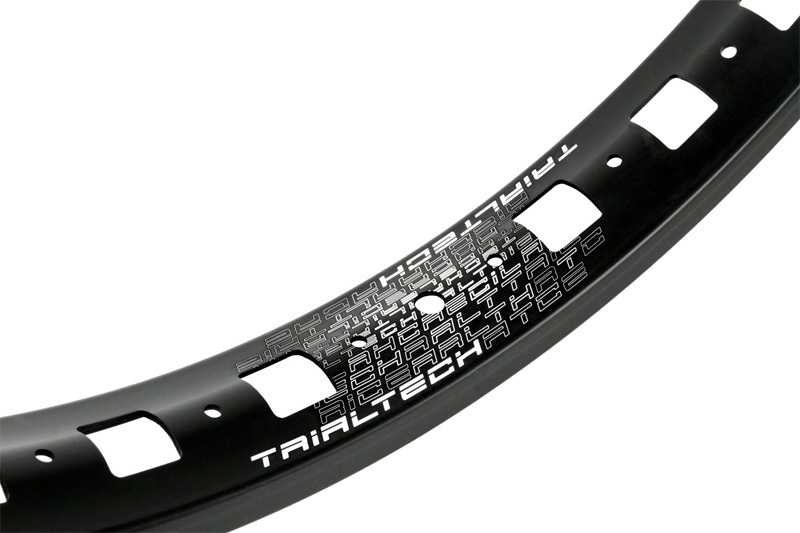 The Sport Lite rear rim is available in 19", 24" and 26" versions with 32h drilling and comes in a classy gloss black or silver anodised finish with stylish Trialtech logos at the rim join/valve hole. Customer rating: 4/5.